The Cox Plate is always something special, but this year is the most anticipated for some time. 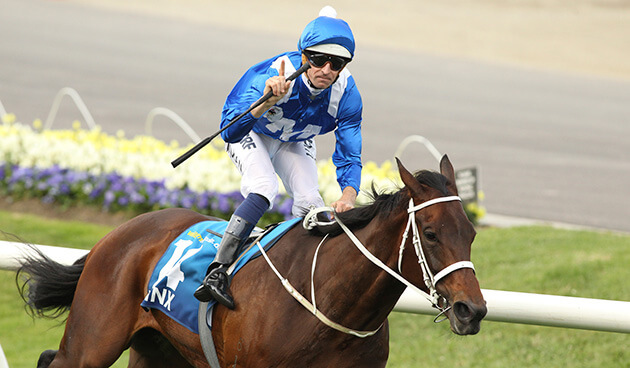 Winx vs Hartnell: Trevor Lawson gives his full preview. First things first: yes, this is a two horse race. There’s been a bit of talk about Vadamos, and whilst internationals do have success here when our own stocks are a little off, they don’t come here and beat our very best horses. Winx and Hartnell are the two best in the country. She’s a generational horse, and he’s hugely improved and going just about as well for mine. Everybody’s expecting a match race and that’s what it shapes as. As we said yesterday in the Manikato Stakes preview, the track is the big unknown here. The sun was shining all day Thursday, but they’re still forecasting 8 – 20 mm of rain for Friday. The rail is in the true for both meetings, so if it’s wet the inside will be right off. In that case they’ll sit off and make their own rail. According to connections Awesome Rock is going to lead, so I have him out front. I’ve watched some replays of Vadamos and he usually sits just behind the leader. Assuming Awesome Rock comes across from gate five, then Bowman should sit Winx (barrier three) just outside them, and will be set up to get the run of the race. From there she can really dictate terms. The draw wasn’t as kind to Hartnell (barrier seven), who I have further back again and wider. Having done the map, it really does look set up for Winx (Waller / Bowman). She’ll settle in front of Hartnell (O’Shea / McDonald) which really edges things in her favour for mine. Make no mistake, Hartnell is absolutely flying at the moment, but on the map it looks like he’ll have to go past her which will be a very, very tough task. In turn, I don’t think anything else can get past the pair of them. Black Heart Bart (Weir / Rawiller) and Hauraki (O’Shea / Dunn) have been rolled by Winx recently and won’t reverse that here. Vadamos (Fabre / Moreira) does look a quality horse, and for reference I have him rated similarly to Black Heart Bart. He’s had three wins this prep, but in all of them he’s sat just behind the leader and had a fairly soft run. Lucia Valentina (Lees / McEvoy) won the Queen Elizabeth in the Autumn and has been long set for this. Just a pity who she comes up against this time! Yankee Rose (Vandyke / Yendall) is a good filly but isn’t capable of winning this at this stage. Happy Trails (Beshara / Melham) has been a good horse, but is too old now. I have him settling last and he won’t get into the race from there. Likewise Happy Clapper (Webster / Avdulla), who will be back in midfield and will stay there. At the other end, Awesome Rock (Costens / Baster) will lead, but can’t go with the favourites when they turn the heat up. I have them very, very close, and was happy enough to tip Hartnell before the barrier draw. However having seen that and done the speed map, I think Winx gets a great run here which edges things in her favour. It’ll be close, I have her winning by a neck. The quinella /exacta look close to sure things here and actually look to be the value bets, as most exotic punters concentrate on the trifecta instead. Snowy, Robbie Waterhouse, Vince Accardi, Ciaron Maher, David Dwyer and Luke Murrell have given us their thoughts in this Cox Plate Preview.